Letters to LA LA Land: OOTD - Monday night stripes ... and skulls? OOTD - Monday night stripes ... and skulls? I have a love hate relationships with stripes. I love the idea of a simple a striped dress and loafers but than most times I don't feel comfortable in one. 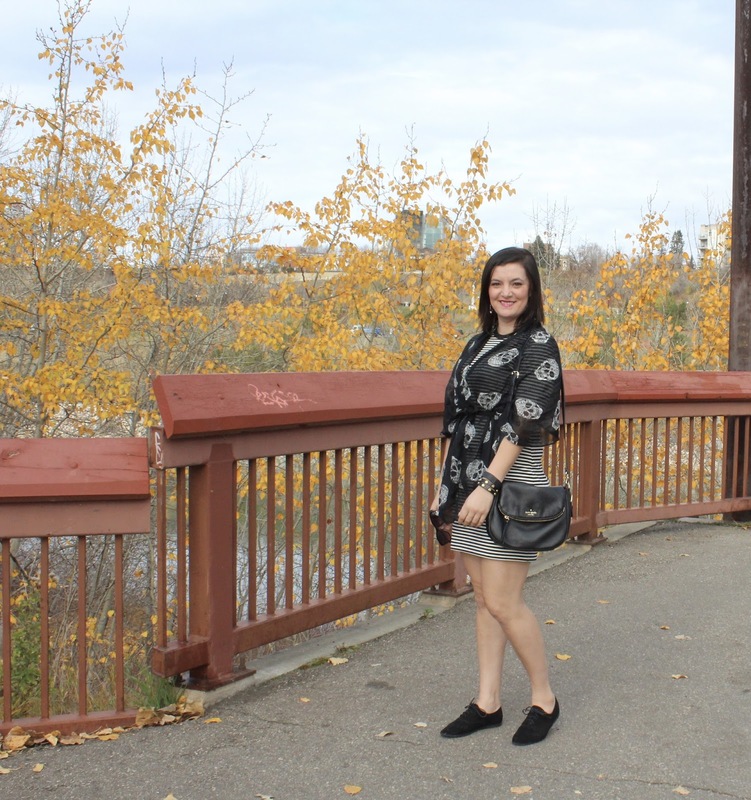 This dress from Joe Fresh is comfortable and made of a ticker fabric that made it easy to transition into fall. I paired it this scarf, because it’s just after Halloween and skulls seemed appropriate.